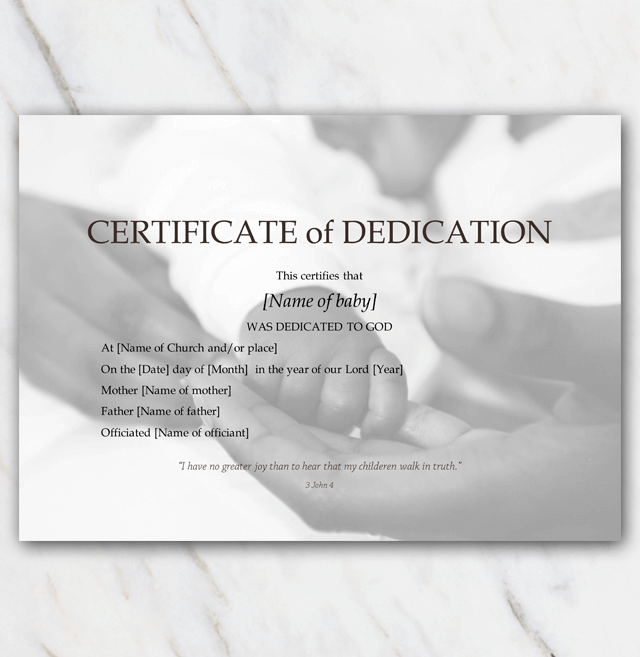 Such a lovely baby dedication template for Word with an image of a little baby hand and a mommy hand. So cute! You can easily download the document in Word and modify the names on the certificate. Print at home or at your local coppyshop. Looking for something else? There are more templates to choose from right here.